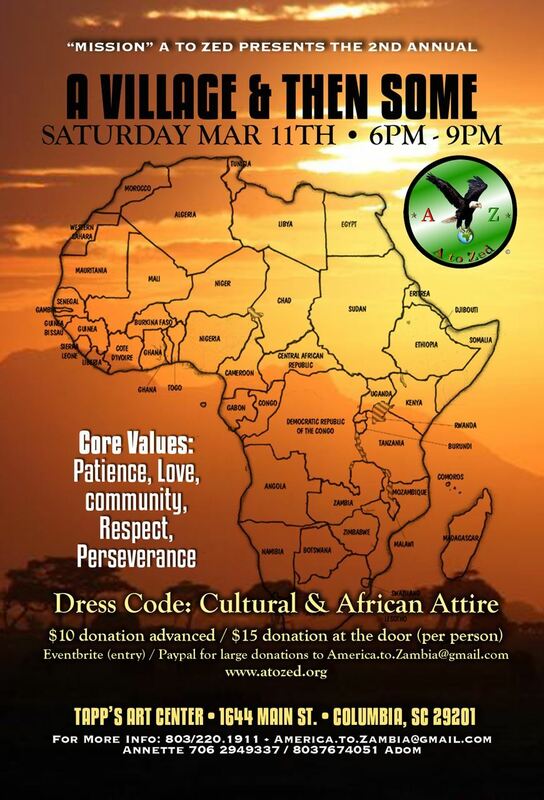 A TO ZED: Africa Beginning With Zambia. Enriching the lives of children in Zambia. Will host an event Saturday, March 11 at the Tapps Art Center, 1644 Main Street, 6 to 9 p.m. 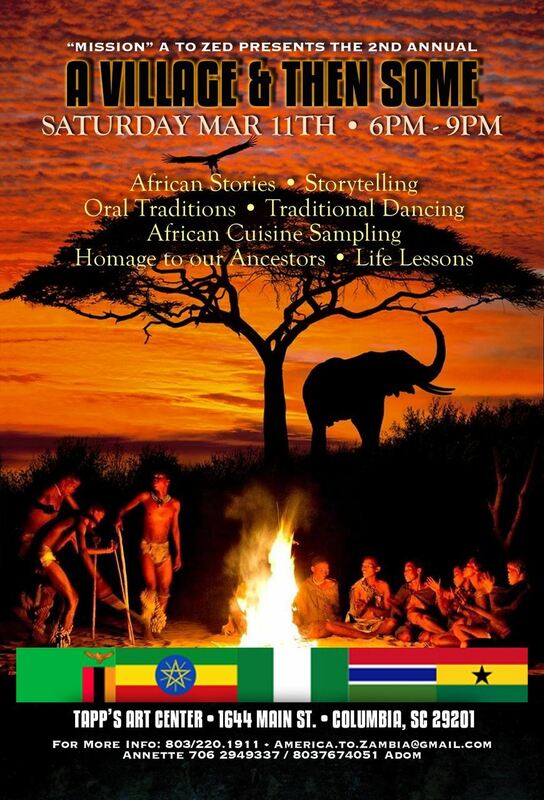 Event to feature storytelling, African cuisine, homage to ancestors and more. The mission of A to Zed is to educate the children of Zambia INSIDE & OUTSIDE of the classroom. Maximize the value of education in the children's lives to lead educated, inspired and empowered lives. "Wholistic" education is our mission. Our desire to educate our children inside the classroom can be seen by how we have strategically structured our programs.